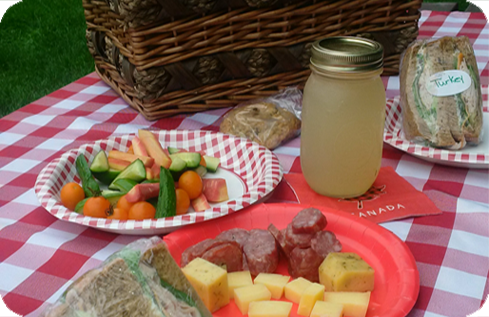 Picnics are a lovely summer tradition along the Rideau Canal. 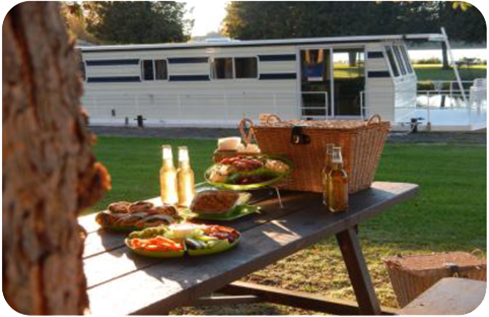 These custom ready-made Gourmet picnic baskets are perfect for any outing… from hiking, cycling, paddling, boating, touring or just spending time by the water. Order, pick-up and enjoy your picnic then simply return the basket or ask for the “to go” option in a take away bag. 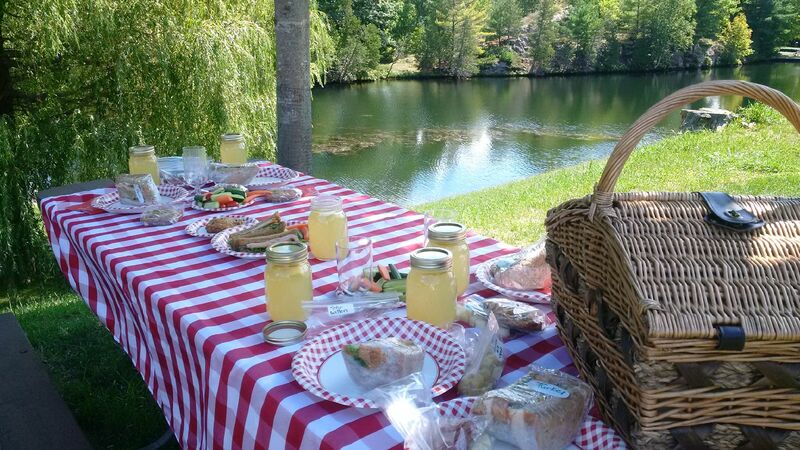 Step 3 – Find your perfect picnic spot: Along the Cataraqui Trail or a picnic table next to one of the many beautiful nearby Parks Canada lockstations at Chaffey’s Locks, Jones Falls or Newboro. Seeley’s Bay is also a beautiful picnic spot. Please indicate any food restrictions and your choice of a wicker basket or a cooler bag to take away. 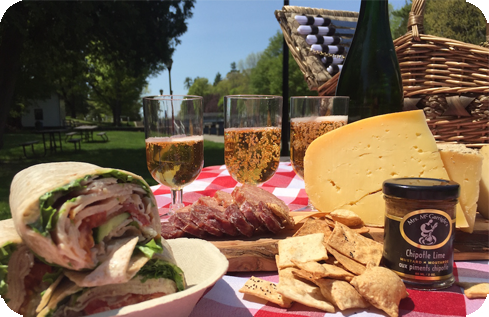 Call us at 613-583-4783 to book a picnic on it’s own or to add to any package or tour!